We've all been there, you've woken up from what you thought was a great night's sleep, only to discover that you've been met with neck pain. Occasional aches and pains can be irritating, but sometimes those bothersome neck problems can be extremely uncomfortable and seemingly take a long time to shake off. So if you want to beat those miserable mornings, it's time to look for a solution to the problem. That's why CosyCo have put together a list of the best ways to prevent against neck issues with a few helpful tips to help you have a better sleep and a stress free day! If you're searching for the root cause of your nighttime neck issues, your best bet is looking at the quality of your pillow. 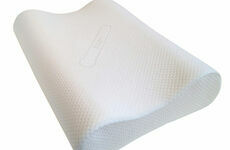 When choosing the correct pillow, height and support are the contributing factors to overall comfort. 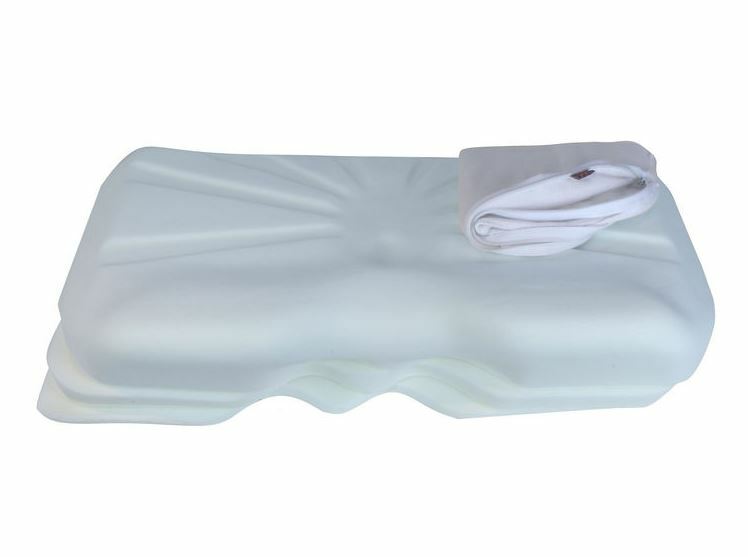 Some find that a flat pillow reduces neck related issues whilst others prefer more of a raised pillow or lying on their side for increased comfort whilst sleeping - CosyCo's Self-Adjusting Pillows take out the guess work. 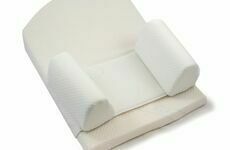 With three removable layers, you can get exactly the right height to suit you - promoting a straighter spine whilst sleeping and featuring ear recesses to reduce soreness for side sleepers. At night we often fall asleep in the position we feel is most comfortable at the time, but although the fetal position may feel comfy just before you drop off, it could be doing you more harm than good for your neck. More often than not, sleeping on your back is the best position as your spine is straight and relaxed and there is a reduced risk of muscles and ligaments twisting into difficult positions throughout the night. The modern world has us engaged in pretty sedentary jobs and we are often sat at a desk straining our necks to look at different screens. When you get into work, adjust your chair and your monitors so your eyes, head and neck are level with the screen. If you're constantly on your phone - whether commuting or at work - you're more than likely to be looking down at your lap for extended periods of time which is awful for neck issues. We recommend keeping devices at eye level, reducing your screen time and taking regular breaks as much as you can. Throughout our day to day lives we are regularly carrying heavy shopping bags, backpacks and other types of luggage. The most obvious mistake is holding these bulky loads incorrectly. If you can, carry less, but if not make sure backpacks are held on your back with both straps so the weight is evenly distributed and not negatively impacting your posture. If you carry a satchel or any bag that has a strap designed for one shoulder, make sure you aren't loading it full of heavy objects that are going to cause stress on the muscles around your spine. We established in our previous post that sleep is without a doubt one of the most important processes that your body goes through, and that without enough of it you could be seriously damaging your health, whilst also lowering your quality of life considerably.